Thank you to everyone who took the time to enter our challenge in November… fabulous entries! Absolutely stunning work ladies! Wow! Come back tomorrow to check out our December Challenge theme, and to see the wonderful Design Team inspiration.There’ll also be some news about our challenge. 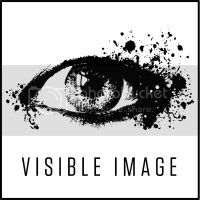 Hello and welcome to the Visible Image Stamps September Challenge! Superb scene created by Sue Joseph using our Brick Wall background to create the yellow brick road, the castle from our Once Upon A Time set, the small rose from our Isabella set to create the poppies, birds from our Free Your Imagination Set, and using Fae as Glinda the Good Witch! This is also a teaser for what’s coming this week, as our DT start sharing their makes with our NEW Oz stamps! The prize is £20 to spend on our amazing stamps! Winner is chosen at random from all the entries. Our favourite 3 entries each receive our blinkie to proudly display on their blog, recognising INKredible work! Did you see our exciting NEW stamps release at the weekend? To celebrate 75 years of The Wizard of Oz, we have created 6 awesome NEW character sets! Available to order now RIGHT HERE! This month we are repeating our ‘Anything Goes’ theme so we hope to see lots of entries once again! Remember that you must use at least one Visible Image stamp, and no digi images. The prize is £20 to spend on our amazing stamps…the lucky winner is chosen at random! We hope they have inspired you to get out your Visible Image stamps and create your entry! Hello and thanks for coming to check out our July Challenge here on the Visible Image stamps blog! We will announce our favourite entries and the lucky winner of our June Challenge later today! Remember that you must use at least one Visible Image stamp, and no digi images. We look forward to seeing what you create! Hello! Thank you for coming to visit us! and get creating for your chance to WIN £20 to spend on our amazing stamps! Hazel has used our Once Upon A Time set and Winter Tree stamp to create this brilliant dramatic card. Sue has used a combination of our Love sentiment stamps to create this fantastic card! Claire was set a challenge to create this! She was given a random stamp selection of our Classic Sports Car, Brick Wall, Immortal Love set and Wedding verse set…. and did an awesome job! Sam has created this stunning card with our Winter Tree and Retro Dots stamps, and Live The Life sentiment. Kim created this fabulous card with our Imagine Dream Inspire set, An Old Friend sentiment, Tall Grass, Bronte Script and Dragonfly stamps. We hope you have been inspired to get out your Visible Image stamps and create your entry! The winner is chosen at random and gets to choose £20 worth of our awesome stamps! The quality will wow you! £10 to spend on our fabulous stamps! Our Design Team have some brilliant inspiration for you…. Kay has used our superb Grunge Flourish stamp to create this amazing card, and added part of our Imagine Dream Inspire stamp for the beautiful sentiment. Those colours are divine! and Gothic Corner stamps, the large rose from our Roses set and our beautiful Butterflystamp. Fabulous stamping! Cheremane has repeat stamped our Houndstooth Background stamp to create this brilliant effect, and stamped our Vintage Car as the main feature of this totally awesome card. set. Gorgeous card, love the gold! to create this great card! Sue has created the background with our Grunge Polka Dot stamp, used our Corset stamp as the main feature in such an awesome way, and added our brilliant Live Your Dreams stamp as the sentiment. Superb card and love that gorgeous raspberry colour! Laura has used our Large Butterfly and Large Tall Grass stamps to create this absolutely beautiful card. So delicate! Julie has created this amazing card with our Men’s Collage stamp, Retro Dots and Crackled Background stamps, and our No Matter Your Age sentiment stamp. Such a fantastic layout and great colours! scrapbook pages, altered art…. anything you like! You must also follow our blog! They really are amazing you know!!! will double their chance of winning! You will find the inlinkz tool at the bottom of this post! You can find all our stamps right here…..you will LOVE THEM!